What is Included in My Monthly Mortgage Payment? 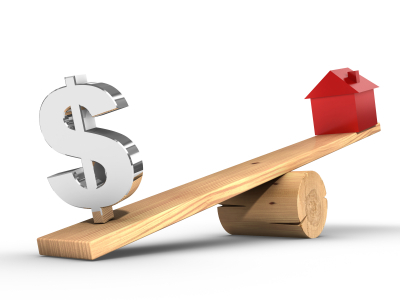 After taking out a mortgage loan to purchase a home, you will be provided with a dollar figure that you must pay each month in order to repay your loan. Whether interested in Bethesda condos or a home in Indianapolis, it is helpful to have a clear understanding of what is included in your monthly mortgage payment before you start searching for a home. This way, there will be no surprises when you sit down with the lender and negotiate a mortgage loan. A portion of your monthly mortgage payment will go toward paying on the principle amount of your loan. The principle is the amount of money that you originally borrowed. If you make late payments or incur any other additional fees, these amounts will also be added to your principal balance. If you take out an interest-only loan, however, you will not pay toward the interest each month. Rather, the principal balance will become due all at once at a later date. Therefore, this type of loan is generally best-suited toward those who only plan to live in their home for a few years before selling it. The amount you pay toward interest each month will depend upon the interest rate that you negotiate for you loan as well as the amount you initially borrowed. The less you borrow and the lower the interest rate, the lower your interest payments will be each month. Most mortgage lenders will include the estimated cost of your property taxes with your mortgage loan payment. By including this amount in your payment, the lender allows you to make small monthly payments toward the cost while also ensuring the taxes are paid as required. Not only is this more convenient for you, but it also helps to protect the lender by guaranteeing the taxes are paid. In addition to including your property taxes in your monthly payment, most lenders also include the cost of homeowner's insurance in the payment. While you are free to select the agency and policy of your choice, you must provide this information to the mortgage lender so the lender can make payments on your behalf. Again, by including the cost of your homeowner's insurance in your mortgage payment and by making the payments for you, the mortgage lender ensures the home is always protected with insurance coverage. The money that you pay toward your property taxes and homeowner's insurance are put into a special account known as an escrow account. If the lender overestimated the amount of these items, you may receive a refund at the end of the year. If these items were underestimated, the lender may give you the option of paying the balance in one payment or adding the amount due to future mortgage loan payments in smaller installments. If you put less than 20% down payment, you may also have a monthly premium for property mortgage insurance, better known as PMI. Depending on whether your loan is an FHA or conventional, the monthly premium could be as high as 1.25 percent of the mortgage balance per year, divided by 12 months. About The Author - Kevin Koitz specializes in Bethesda homes for sale as a Realtor with the Maryland-based Koitz Group. UK Mortgage lenders are calling for extra lessons in school to teach people about mortgages. A study showed that the only question most borrowers ask is How Much is My monthly mortgage payment going to be? Very timely article. I am working with several first time home buyers who have no idea what to expect. They never owned homes when they were married but now wish to buy instead of rent. Can't believe the borrowers still don't understand PITI. You would think that they would learn something as simple as this in high scholl or college. Oh wait, we don't teach many practical courses. Maybe this is why so many borrowers are buried in debt.